Valencia Endanza is committed to the quality of its training offer within the three programs – Classical, Spanish and Methodology – that make up this tenth edition. In line with our commitment to excellence, Valencia Endanza continues with its successful formula of the Master Class as a complement to the pedagogic offer. This is such asspecial year for us that we did not want to forget about a star that has supported us from the beginning: the Principal Dancer of The Royal Ballet Federico Bonelli, who joins our faculty and will offer Master Classes as the culmination of the Classical program. Do not miss the opportunity to receive a ballet class from a star of one of the five best ballet companies in the world, The Royal Ballet of London. Federico Bonelli was born in Genoa and trained at the Turin Dance Academy with Italian and Cuban masters. In his student days, he finished second in the International Competition of Havana, and won the first prize in the International Ballet Competition of Rieti (Italy), the Prix de Lausanne. 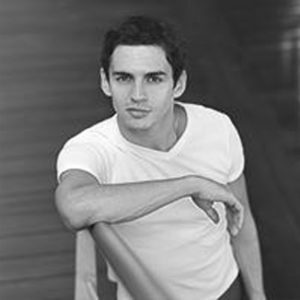 In 1995, he graduated from the Zurich Ballet. He was part of the Het National Ballet of Amsterdam, where he entered in 1999 and was promoted to Principal in 2002. A year later, he joined as a Principal Dancer at The Royal Ballet in London, considered one of the five best ballet companies in the world. In 2005, he became the third dancer who played the role of Armand, after Rudolf Nureyev and Jonathan Cope. That same year, he won the Premio Positano. In 2007, he received the nomination as’ Best Dancer ‘by the Critics’ Circle Awards. For his way of interpreting, Federico Bonelli stands out in the roles of noble dancer, especially in the roles of Romeo, Siegfried (The Swan Lake), Prince (The Nutcracker and The Sleeping Beauty) and Des Grieux (Manon). © Cover photo: Rick Guest, 2015.